The 35-tonne humpback has become caught in fishing gear and British Divers Marine Life Rescue (BDMLR) is on stand-by to perform a precarious rescue once they can locate it. 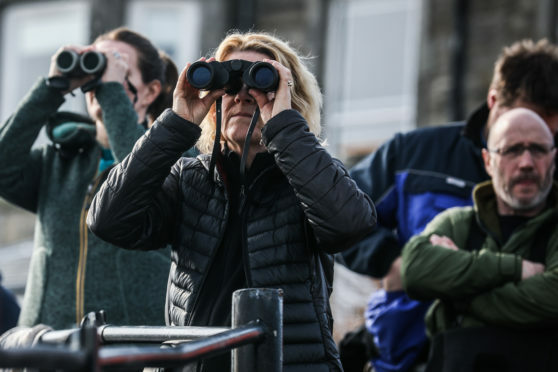 BDMLR area coordinator Paul Smith urged members of the public living along both shores of the Forth to reach for their binoculars and keep a lookout for the animal. “We need to get as many people looking out for this as possible,” he said. “It’s moving in and out of the Forth so what we need is people out spotting all along the coast of the Forth, with the request that people do not put themselves in danger. The whale is thought to be have become wound up in the buoy rope some time ago. Once they know where the whale is, BDMLR will launch its large whale disentanglement team – the only one of its kind in Europe – to free the animal. Although the humpback in the Forth is managing to swim freely, entanglement can be fatal for whales, and can restrict their ability to feed. Mr Smith said the whale was likely to be in some distress as a result of being caught up in the gear, which he described as a blue floating rope pole and a float which is either orange or yellow. On Tuesday night, the 16-metre-long mammal was spotted in the estuary about six nautical miles off the coast of Kirkcaldy. 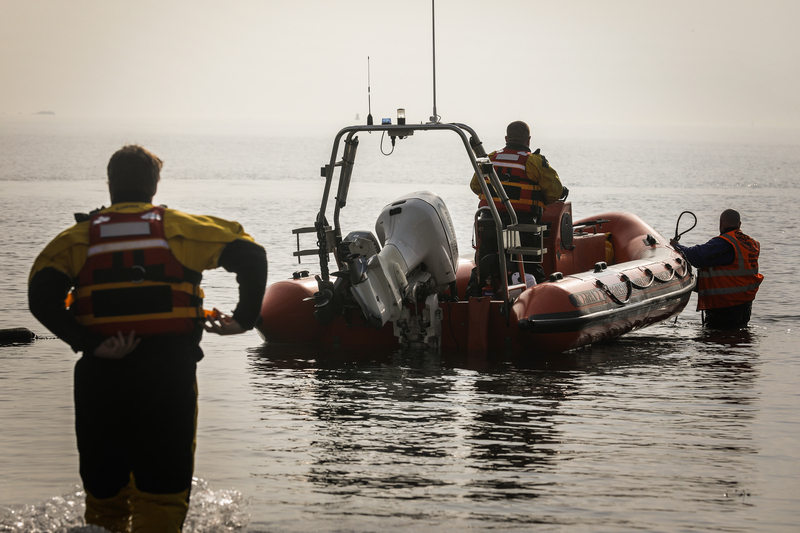 British Divers Marine Life Rescue on stand by at Kinghorn Harbour last week. BDMLR rescuers were stationed between Aberdour and Kinghorn on Wednesday morning in case the whale came into view. When the rescue does go ahead, it will be a high risk operation because the whale could either overturn their vessel or breach onto it. And, with the team the only one on Europe with the skills and specialist equipment required, Mr Smith said they could be deployed abroad if the whale swims out to sea. Mr Smith added: “If it doesn’t come back and we lose it out to sea, it will probably be picked up by another country.